Sunguard or Sunscreen for each Season? Have you ever thought about the harmful UV Rays? Well, let me tell you all about 3 types of UV rays I recently came across from my friend Charul’s Insta-live session and some online knowledge. The session made it very clear how important is Sunscreen to all of us in our everyday lives. Charul was the one who insisted me to use Tvakh’s Aloe Gel but I really didn’t know would end up buying their Sunscreen Gel and Sandalwood Mask. I cannot thank her enough. Do check her Instagram all the posts are super informative. 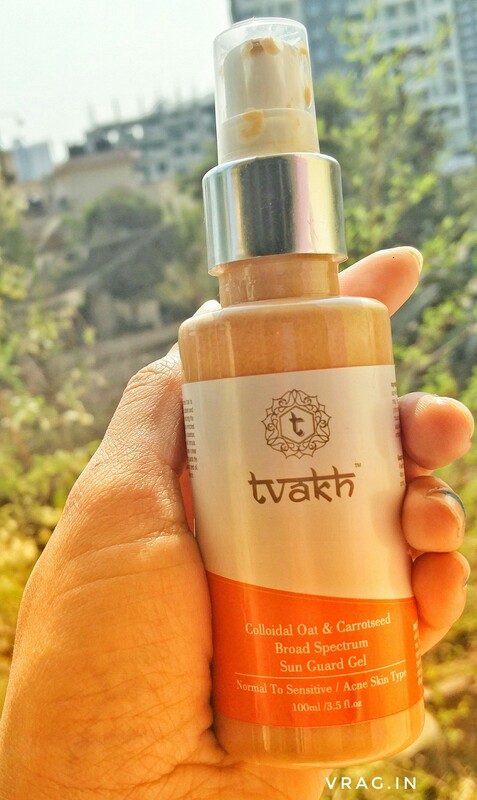 Tvakh’s Sun protection gel is a physical sunscreen that is designed with SPF infused mineral powders that scatter and reflects UVA and UVB rays, preventing them from reaching the surface of the skin. Enhanced with Beta Glucan enriched Colloidal Oatmeal that provides water-resistant, UV absorbent, anti-inflammatory and emollient properties to the formula. Optimized as a weightless tinted mousse that leaves a sheer matte finish, minimizes the appearance of pores and guards the skin with multiple actions of antioxidant-rich Carrot seed oil. Therefore promoting skin radiance, clarity, and resilience. How to Use- Use liberally after antioxidant cream/serum for protection from UV and Free radicals. My experience with the product: This is my second sunscreen after Lotus Herbals. If you are a teenager or someone who is just crossed 30 or 40+ this is a must-have product. Sunscreen is a unisex product and this is surely one that fits both. Never miss this product. I have been using this for a month. Carrot Seed oil in it has Carotene & VitA which is good for the skin. ♥️Tvakh Sun Guard is tinted and provides broad-spectrum UV protection with a sign of full coverage without leaving a white cast behind. ♥️The gel is creamy in texture and I add drops on my face. Once the face is covered with the drops massage it smoothly. 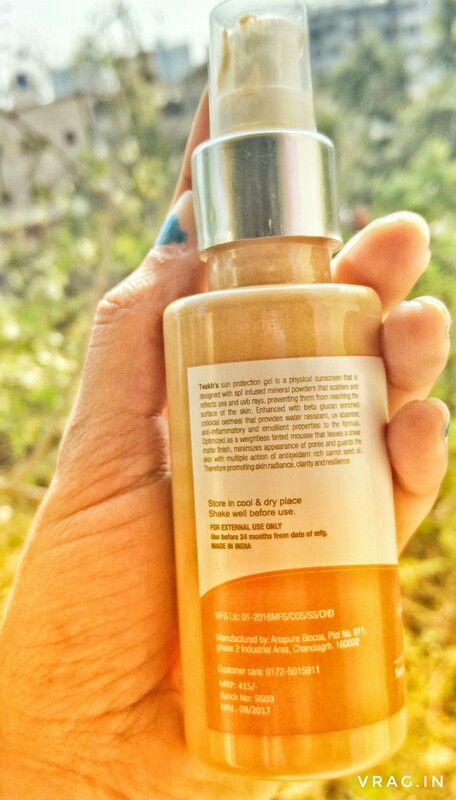 ♥️It acts as a makeup primer and can be used every day and one can ditch the chemically laden primers. I have used this below my foundation and trust me it works the best. ♥️Good for all skin types. Tried and tested on Combination, Dry Mature & Acne Prone skin. ♥️Do not rub it on your face, it usually does not make you look bad but the signs of uneven application are visible. ♥️It is the best light-weight sunscreen I’ve ever used until today and trust me will last you for long as very little is consumed to cover your face. 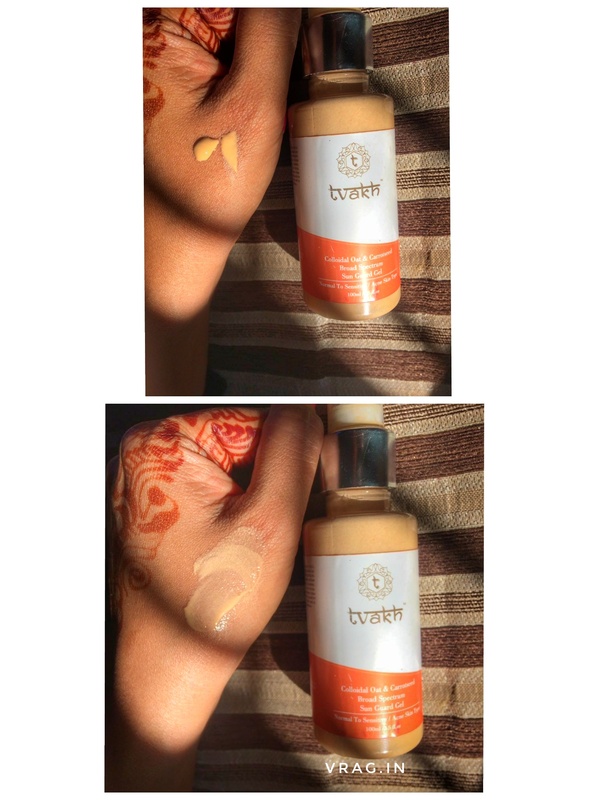 Have you ever used Tvakh products? Let us know in the comments. This looks so good and the fact that it has natural extracts is the biggest plus point. Looks like a great product. After experiencing chemical based products I am turning towards using natural products. I shall try this one. Wow looks like a amazing product. I can see the effects on the pictures. Would love to try this. It’s looks Superb and very promising product. I always love to use natural based products will definitely try it. Yes it’s the best product for sure. This looks super effective. Would give it a try soon. Thanks for sharing. This product is amazing thank you so much for sharing!